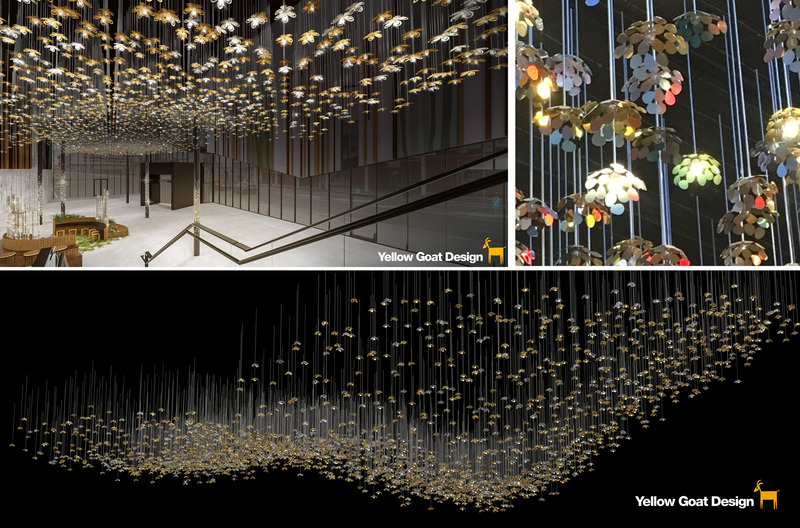 Yellow Goat defined that "cinematic" moment with 3000 gold, silver, and green flowers suspended in the air. Each flower has a 2m long stem and a 50mm crystal at its heart. 1000 of the flowers are fitted with an LED light source placed in the center of the crystal and are scattered randomly amongst the others. All are suspended from the ceiling at various heights generally following an undulating wave pattern. 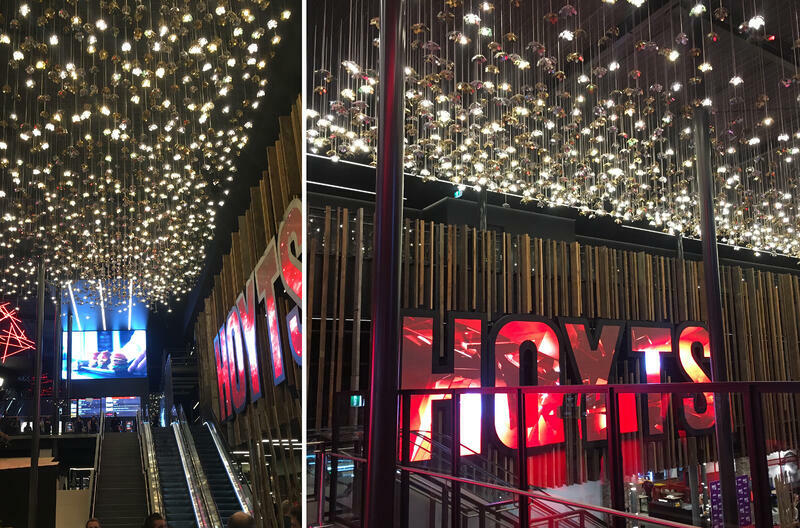 This piece proves it, even in problem spaces, dreams really do come true.